The new Telstra TV offers genuine convenience by pulling together both streaming and free-to-air content into a single elegant interface. However, these strengths are held back by conspicuous omissions, uneven performance and a failure to really deliver on the box’s 4K capabilities. A few years back, Telstra moved to redefine itself as not just Australia’s biggest provider of mobile and internet services but also as a technology company capable of making exciting tech for your home. Products that aren’t just an option, but one well-worth considering even alongside efforts from established technology brands like Sony or Apple. Thus far, not all of Telstra’s hardware efforts have quite lived up to these ambitions. However, as it turned out, quite a lot of customers thought the company’s original Telstra TV did. 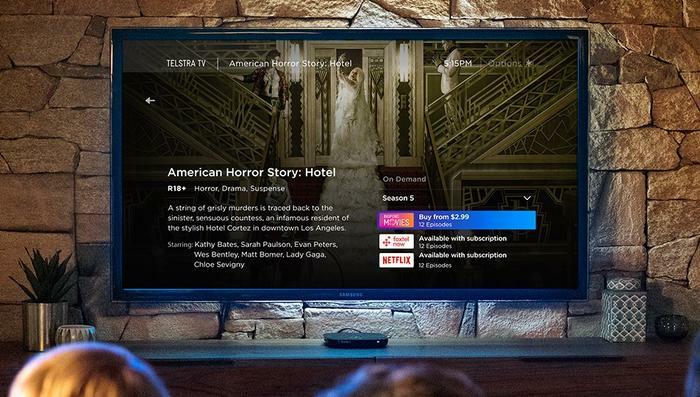 The company say that, within Australia, the streaming box has outsold both the Google Chromecast and Apple TV to become the bestselling product in the category. Now, like any technology company, Telstra have embarked upon the bold yet unending road of iteration. The new Telstra TV looks to the future, making the jump to 4K, while also finding the time to look back, adding integration with traditional free-to-air TV. Beyond that, it maintains the same Roku-powered - albeit slightly-refined - media box experience of the first-gen device. In an echo of another technology company, it’s their “best Telstra TV ever”. However, that doesn't mean it's fair share of weak links. Under the hood, it boasts a quad-core MStar C2 CPU, 2GB of RAM and 512MB of on-board storage. It also comes with a remote touting dedicated Netflix and Foxtel buttons. It’s also got a single USB-port on the back, allowing you to access video, audio and image files using the Roku media player. Design-wise, the second-generation Telstra TV can be pretty cleanly summed up as a sharper version of the original. If nothing else, it feels like Telstra have done a great job of emulating the Apple-model of aesthetic iteration here. It’s a little lighter, little slimmer and overall a lot cleaner in its presentation. Setup is quick and easy, though you will need an active Telstra account. From there, it’s just a matter of entering your various streaming account credentials. Unfortunately, filling out your details using the remote and on-screen keyboard still leaves something to be desired. Even if it ends up feeling like an perfectly-surmountable hurdle, it's still a weakness. In comparison, adding free-to-air content to the equation is pretty much painless. This feature doesn’t necessarily feel like a knockout advantage against the other options out there but it’s definitely nice to have. Even if I don’t watch a lot of free-to-air TV, I found it really useful to have that content indexed within the Telstra TV interface . Unfortunately, while the redesigned UI does make for a cleaner experience. That experience really only extends so far. Almost as soon as you leave the home page and start digging into your connected streaming services, the experience feels noticeably more sluggish - though often it’s unclear whether or not the remote or the box itself is the source of this problem. Regardless, at times, it feels you’re waiting on the Telstra TV to catch up with you. And you'll be waiting even longer should you accidentally open up the wrong streaming service by mistake. Netflix itself isn't too bad but this slowdown issue gets noticably worse whenever you jump into some of the free-to-air on-demand services like 7Play or 9Now. Still, Telstra have made an interface that’s generally nice to navigate. It just feels like the hardware needs a little extra grunt to fully deliver on its potential. Once you’ve got everything set up, the Telstra TV experience is admittedly pretty good. Searching and watching content isn’t necessarily seamless, but it feels about as seamless as it could be with this many complementary services and platforms in the mix. Of course, the biggest sell here is 4K. While it’s nice to have it, it’s still a case of your mileage may vary. To begin with, obviously, in order to make use of this capability you’ll need a 4K TV (and 25mbps internet connection). However, it’s with the content-side of the equation that things begin to fall apart. It feels like less of a confidently leap into the 4K content era and more of precarious and mild stumble into it. Assuming that you have an internet connection capable of streaming 4K, Netflix and Stan are your only options. Amazon Prime offers 4K content but - for whatever reason - the app isn’t supported on the Telstra TV. Likewise, Google Play Movies and the iTunes Store have also been omitted, curtailing the library of potential 4K content further. 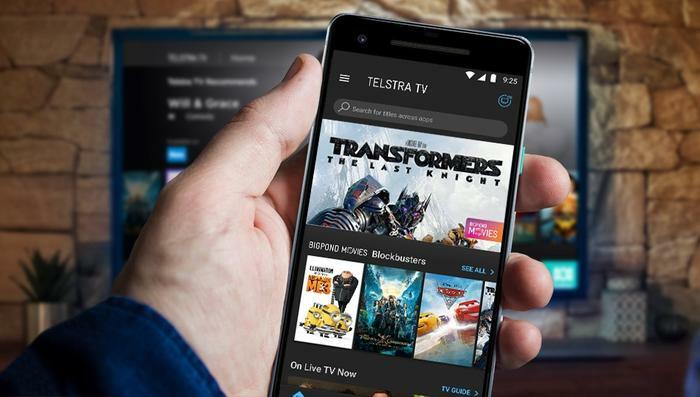 In their place, Telstra have integrated their BigPond Movies platform with the streaming box. 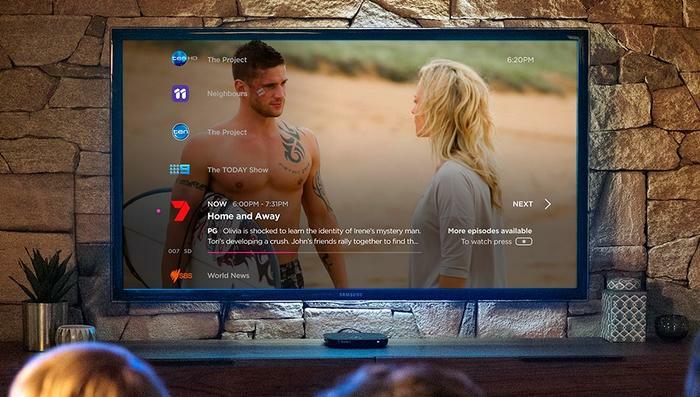 However, this platform doesn't actually offer 4K content so it makes for a poor substitute.That might change later down the line but, for the moment, it’s a pretty major drawback to one of the new Telstra TV’s headline features. In contrast, it’s the free-to-air tuner that ends up being the far more valuable inclusion. Even if a lot of viewers - myself included - have mostly moved on to exclusively using streaming services for their TV needs, having the option to index all of that content alongside the streaming services makes for a more versatile experience. Like any streaming box, the Telstra TV is kind of defined by its limitations as much as it is its strengths. It offers genuine convenience by pulling together both streaming and free-to-air content into a single elegant interface. However, these strengths are held back by conspicuous omissions, uneven performance and a failure to really deliver on the box’s 4K capabilities. 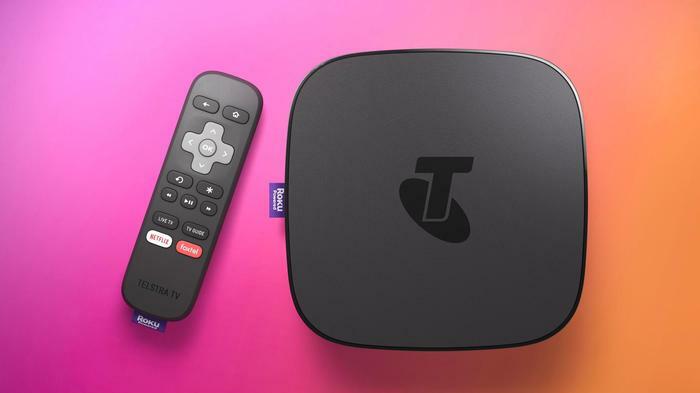 Nevertheless, the ability to consolidate (some of) your streaming services alongside free-to-air TV channel is going to make this a pretty appealing package - even matched against something running the Freeview app - and it certainly helps that the Telstra TV is really affordable. 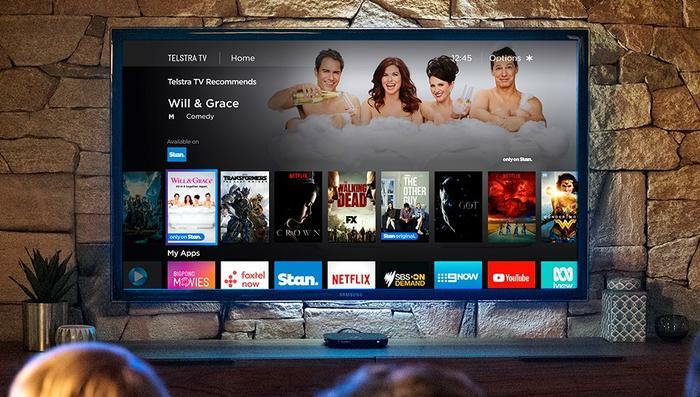 Unfortunately, if you’re in it for the 4K, it’s clear that the Telstra TV experience isn’t quite “there” yet - though they are showing signs of steady improvement.